Shakesville: Polar Vortex: It's Still Cooooooooold! 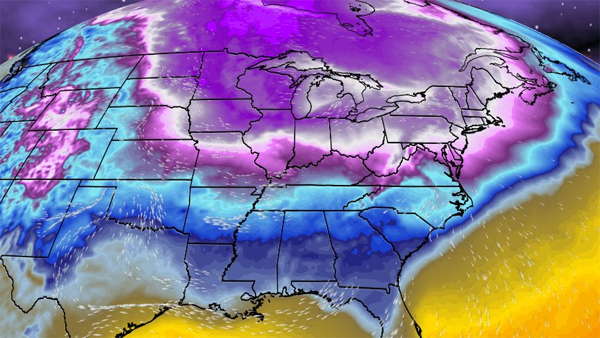 Polar Vortex: It's Still Cooooooooold! Even without the inclusion of the temps, that graphic from the Weather Channel communicates the horror and scope of the deep freeze just fine. Shiver. It is still dangerously cold across much of the United States and Canada, care of the polar vortex, and it has been deadly for at least six people. (The Guardian puts the number at eight.) I fear that number will climb today, unfortunately. I remain very worried about vulnerable people and their pets during this hideous cold. Again, if you have recommendations for how people can help or direct resources to organizations providing assistance during the cold weather, please feel welcome and encouraged to leave them in comments. We got more snow yesterday, but again the winds were the worst of it. Our windows were rattling all day with the wind. Fortunately, our heat is still on — touch wood.